^ This has not been my experience at all. My 151K mile Audi drives like it did brand new...no squeaks or rattles. Suspension and body are as solid since day one. All of my GM cars started to rattle like a bucket of bolts by 30K miles....whether Corvette, Camaro, GTO. Such a fantastic thread with awesome conversations lol. On one note, who else will jump off a building if this whole time it is actually a Cadillac instead of a Corvette? I thought the Cadillac ME was cancelled? I am planning to save some cash for the year ahead for the mid engine C8, but know I am started to get a bit worried. I wish GM would just give us some solid information..... damn! On one note, who else will jump off a building if this whole time it is actually a Cadillac instead of a Corvette? Myself and others long ago predicted it would be badged first as a Caddy. My mom's 2004 BMW (and most newer BMW's) have lots of "disposable" parts. Same with Mercs. Audi has a stretch of good cars but the new ones are trash. But you gotta compare cars from the modern era. US cars pre 2005 were pretty bad, trucks and SUVs though, bulletproof. I worked on the supplier side 2005-2013, and I can say as a FACT each company was doing the same **** behind the scenes. Not me. I think it should be a Cadillac. We will know in 382 days (Jan, 13, 2019 @ NAIAS). 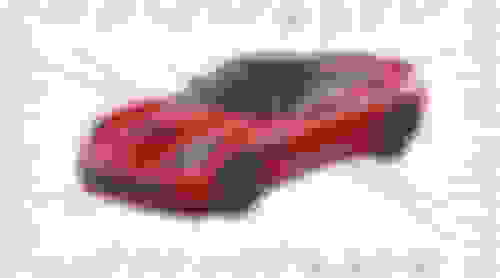 It will be a Corvette -- so several insiders have said (well at least they were talking until 10 days ago). But at least one said, "do not rule out a Cadillac version further down the road." Elegant, please feel free to chime in on my recent new thread post regarding this topic. 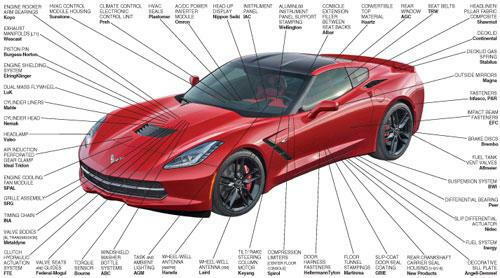 Of course it's been said the Zr1 and Z06 are enticing...and they are..but has anyone noticed how the average z06 pricing has dropped back down in transaction pricing to the low to mid seventies...again ...very close to just double the average passenger vehicle sold in America...which is the low to mid thirties.. I don't see the unit volume success of elevating pricing that would mimic the Audi R8 ..
Last edited by JerriVette; 12-28-2017 at 07:20 AM. I've owned plenty of Audi's and the suspension bushings usually last 40-50 k.
It is the double independent upper/lower A arm design they used to use, not sure if they still do. You could turn the wheels almost 90 degree's but it destroyed the bushings in short order. That high degree of turn also tears up CV joints which means front axle shaft replacements. If your doing 50K a year in highway miles sure but not in regular city driving. I think that would be a positive development. Same with my 19 year old Mercedes. No squeaks or rattles, etc and solid as it was in 1998. Good points and I was following you up to the "mimic..volume R8 part"..
likely misunderstood.. but R8 sells average 40 cars a month.. not sure I would call that volume? Even at 300K a piece (if it is that much..) 2000+ @80K is way better..
Last edited by Telepierre; 12-28-2017 at 11:51 AM. I slam gears and track my ZR1 and my Z06's before it. I hate the interior. I am fortunate to be able to buy an ME when it comes out. If the interior is on par with the C7 then I will move on to something else like a 458. "Don't let your eyes foul your confort"
Last edited by sunsalem; 12-28-2017 at 01:59 PM. You won't get that out of one built after 2005. Mercs went to crap when they owned Chrysler. They sorta recovered, but they aren't the same. German and Japanese cars of the 1990's are the pinnacle of bulletproof. Mostly due to overdesigning parts and not caring about costs. Once they got cost conscious like the US companies quality suffered. US makers still have the toughest "durability" tests though. That doesn't equate to quality, but it equates to part life. These things while related are not the same thing. A quality part is one which doesn't fail at all (squeaks or rattles) a durable part is one that doesn't fail in FUCNTION, and function alone. I don't follow, if it squeaks, rattles, or falls apart it is inferior. I don't see that US makers have tougher durability tests. I don't even think there is such a thing as a US maker anymore. As time passes by and we get even more connected/globalized cars are more alike than different. All cars are a hodge-podge of 3rd party parts. US maker as in primary engineering center and home base. Chrysler (the division) is still a US firm (owned by a Dutch company). Ford and GM are based in the US (in many facets). BTW, you just showed that OEMs use global suppliers with that picture. Which is a big Duh. But irrelevant to what a "US Carmaker" is. But back to what I meant by durability. Durability is does it work. Not is it perfect. But does the part function as intended. US makers have the hardest durability tests. I hear this from my suppliers and I know it from my time as a supplier. What does this exactly mean? 1. More hot cold cycles on electronics. 3. Tougher vehicle tests, US cars can hit a giant pothole and survive (Corvette actually gets a deviation for PotHole3 at GM). A 911 cracks a tie rod on PotHole2. 4. Higher loads and tougher strength tests on mechanical parts. 5. Tougher and longer vehicle life tests, parts are subjugated to what some suppliers call unrealistic usage profiles. 7. Tests to part failure. Sometimes over 2 vehicle lives of accelerated durability. 8. Salt and sand testing while you wouldn't believe. If you looked at the European divisions of Ford and GM in 2000, they couldn't pass the US tests. I've had German colleagues tell me that no roads are this rough, until they come here. Quality is being able to control the mean and standard deviation of your mass produced parts. Not the durability of your design. Durability is a design thing, quality is a manufacturing thing. If your part squeaks and rattles it's not because it isn't durable, it's because the standard deviation during manufacturing stinks. People confuse bad design with bad production. They are not the same. My 2013 SL550 was a complete piece of ****. Sold it after six months, ten times in the shop, and what would have been $22K in repair bills if it was out of warranty. The kicker was the plated faux aluminum door handle. FAUX.....on a $130K car.